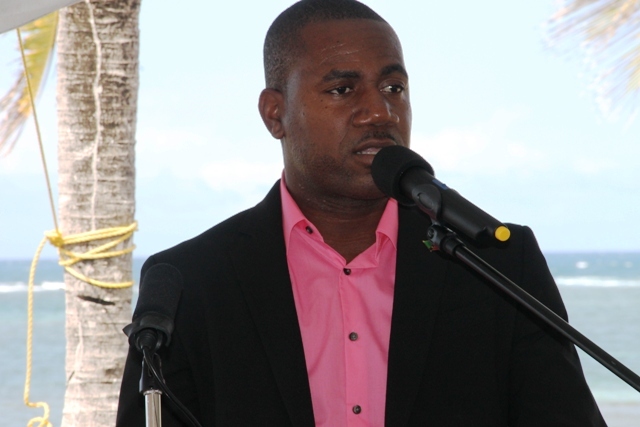 NIA CHARLESTOWN NEVIS (APRIL 22, 2015) — Deputy Prime Minister of St. Kitts and Nevis Hon. Shawn Richards, described the recent ground breaking for the US$20 million HTRIP Candy Villa Resort Development at Liburd Hill on Nevis by a Chinese investor Jian Li, as a momentous occasion. He said it underscored St. Kitts and Nevis’ global appeal in particular Nevis. Mr. Richards pointed to six other investments from Asia who over the years had been established in Nevis, among them supermarkets and resturants, and said that the resort was further diversification in the type of investments the island attracted. “It is evident that Nevis has magic. Nevis has magnetism and that Nevis has magnificent traits that investors from various continents will continue to seek and the Candy Resort and others that will be developed by Mr. Li and his team will further amplify its allure,” he said. The Deputy Prime Minister said the event highlighted the strong and concerted efforts of ministers in the Nevis Island Administration who continue to forge international relationships which he believes would serve to accrue financial, social, cultural and other benefits for Nevis. 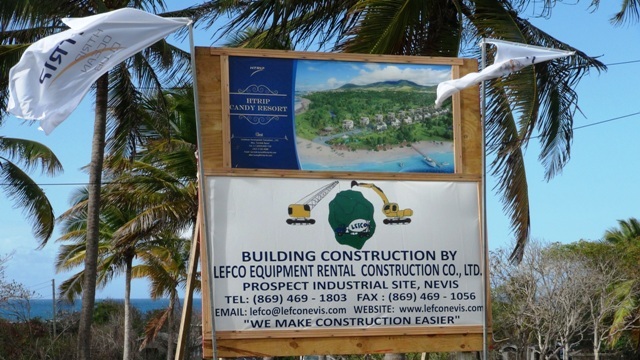 According to Mr. Richards, the ground breaking also shed light on the pool of talent and skills which existed in Nevis and he spoke of LEFCO Equipment Rental Construction Co. Ltd., an indigenous company which has been contracted to carry out construction work on the project; and caterer Mrs. Hope Merchant of Riviere House Restaurant who provided refreshments for the occasion.